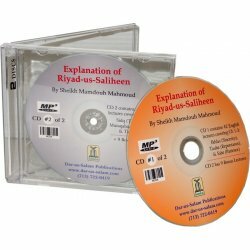 Section contains audio CDs on Hadith and Sunnah. Hadith are the collection of sayings, actions and approvals of the Prophet (S). Hadith/Sunnah There are 3 products. Struggling to Submit or Struggling to Surrender to Allah merely by the title describes the theme of this lecture. What are the causes of not taking heed to Allah's commandments? This presentation answers this question and its purpose is meant to spark thoughts and energies in regards to sincerely applying the revelation and fully surrendering to Allah.